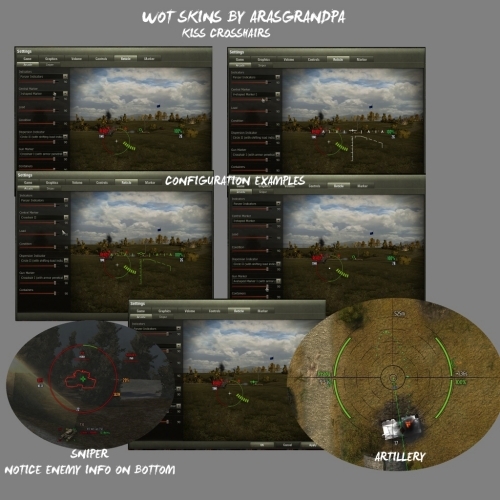 We present you new and useful crosshair «Grandpa’s KISS». This sight will help you to be better in the battle because it is includes loading time, rounds in clip,% health and meters to target. Also this mod has time to target and traverse indicator for arty.In the sniper mod, you can see the enemy armor ratings.